The Allan Stone Projects will be featuring artwork by Robert S. Neuman at Master Drawing New York 2016, January 22nd-30th. The exhibition, Process and Presence: Mastery in Drawing, will feature drawings and works on paper by multiple artists in four subjects: figuration, landscape, still life, and abstraction, dating from the late 19th to the early 21st centuries. The works reveal the immediacy and intimacy of the artist's mark making ranging from fantasy to realism. Pictured above is Neuman's Ship to Paradise #2 (The Island) to be displayed. 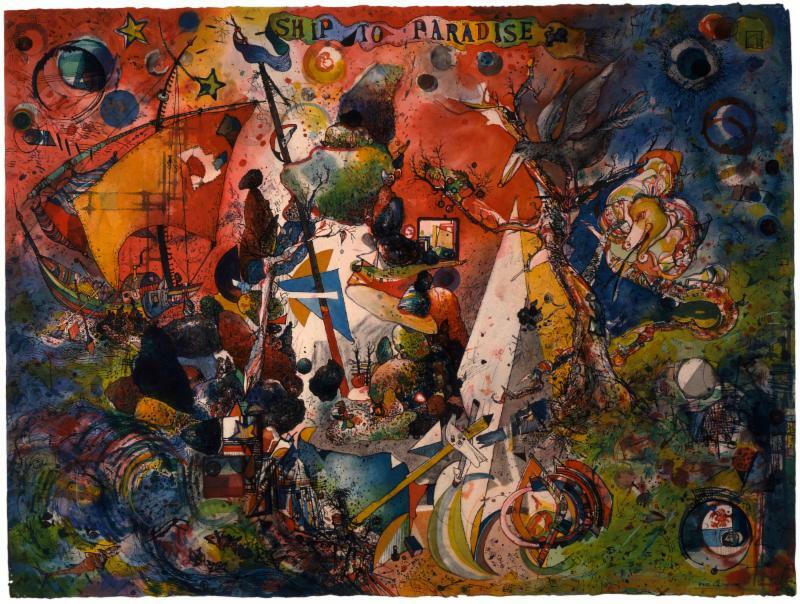 This work was featured in the 2012 traveling exhibit and catalog Robert S. Neuman: Ship to Paradise. More recently it was shown in Dancing with Dystopia held at the Allan Stone Projects. The Allan Stone Projects presentation, Process and Presence, will take place at Jonathan Boos Gallery located at 801 Madison Avenue, 5th floor. More information on the exhibition can be found here.